For the living Maya, epigraphy is so much more than epigraphy. 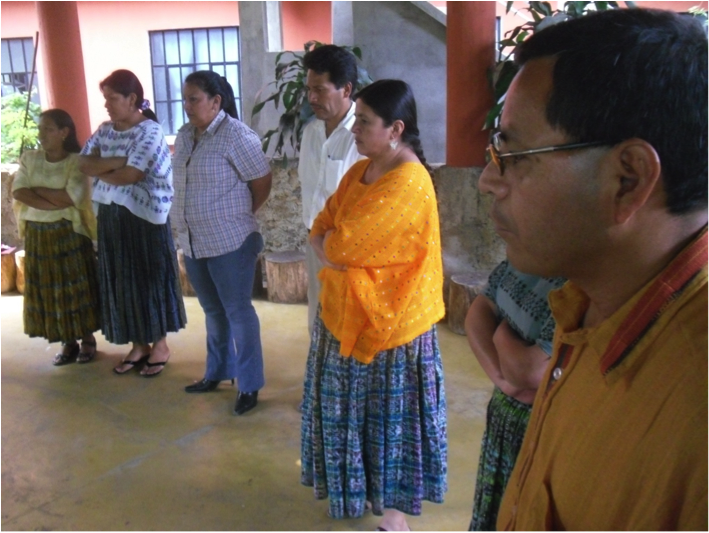 A workshop held at ADICI-Wakliiqo headquarters in Coban, Alta Verapaz, is a perfect example. 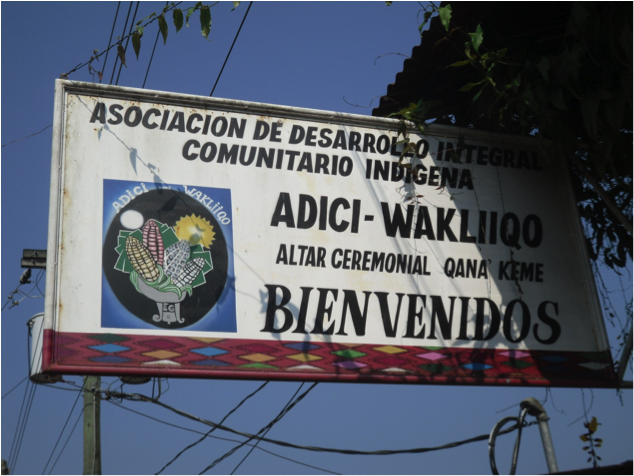 ADICI-Wakliiqo is a social service non-governmental organization focusing on sustainable agricultural development, fair trade, and environmental conservation within the context of community self-determination in the Q’eqchi’-speaking regions of Guatemala. So why epigraphy? Sebastian works full time at ADICI-Wakliiqo and he invited me to give a one-day workshop on Maya glyphs and the calendar last year. Sebastian Si Pop, foreground, and his colleagues begin the event around the ceremonial altar. 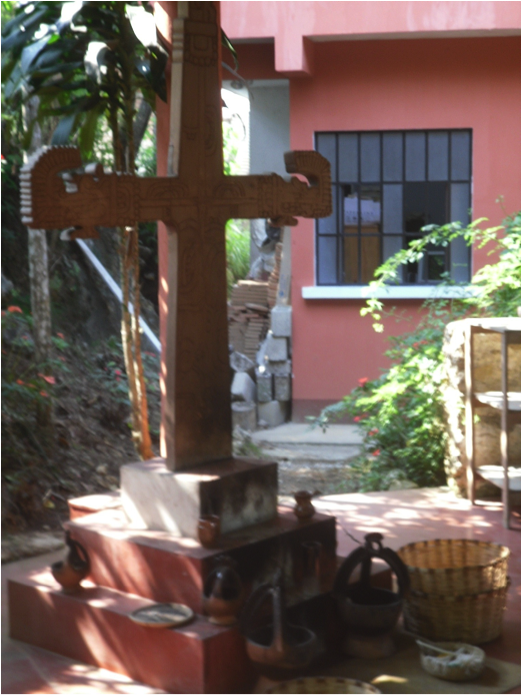 Inside the ADICI-Waliiqo headquarters, a hand-carved wooden replica from the famous cross group at Palenque, Chiapas, forms the center piece of the ceremonial altar. 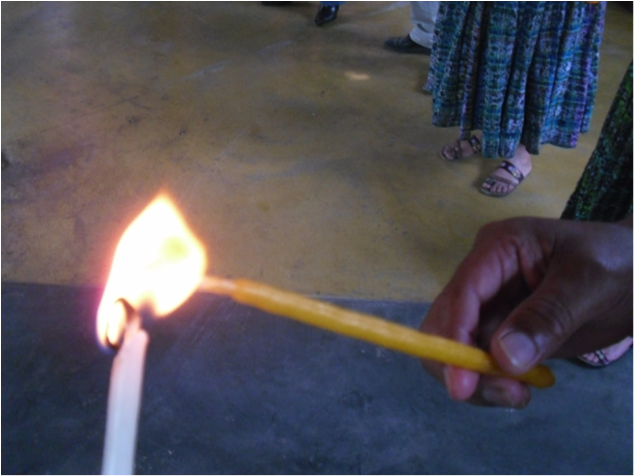 Candles are lit and flames passed from one to another. 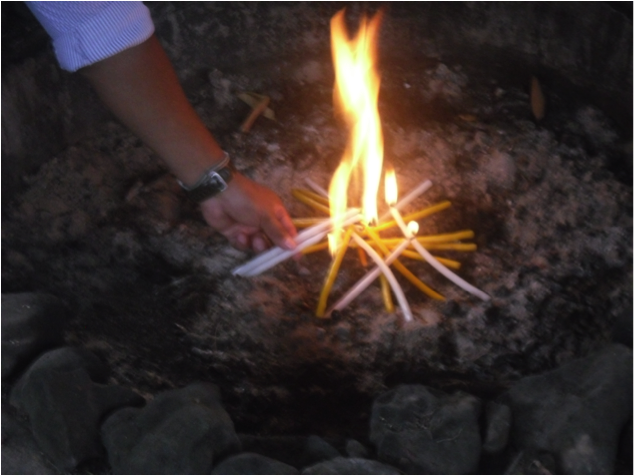 Each take their turn reflecting on the significance of the occasion before placing their individual candles in the community fire in the central hearth. 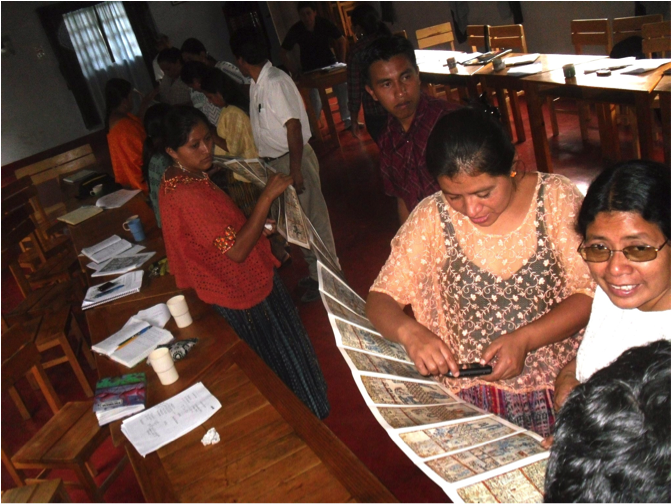 During the workshop, the codex facsimiles draw the most excitement. 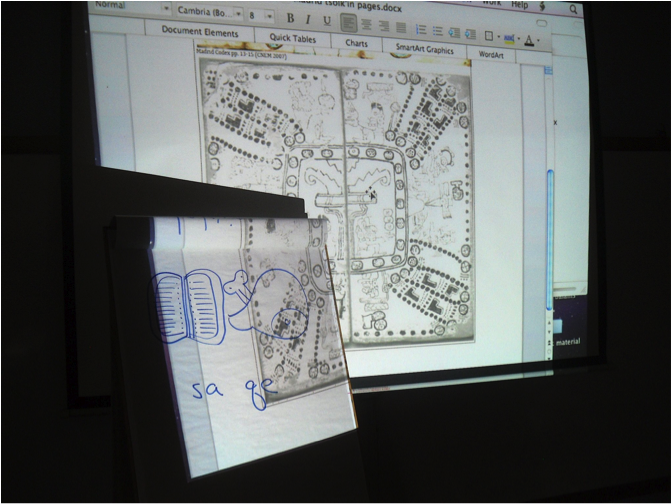 Hands-on (literally) training on how to read the codices always brings forth comparisons of the ancient pictures with contemporary practices in the communities. World directions in the Madrid Codex, written in Yucatek Mayan, are translated into Q’eqchi’ . . .
...and then written using Classic Mayan hieroglyphs. 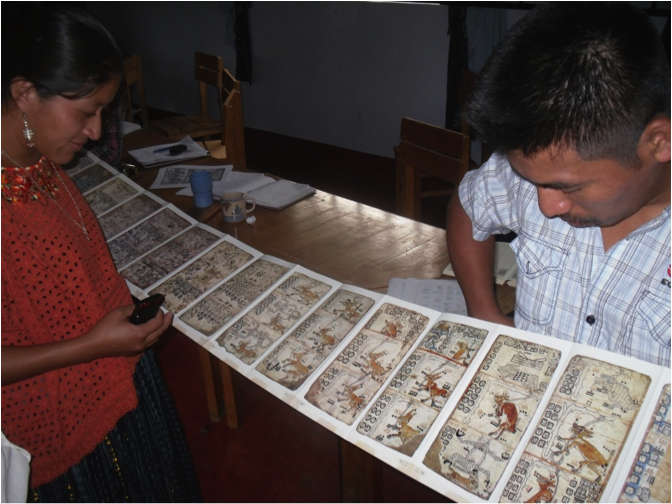 The Maya codices from Yucatan, Mexico, find relevance and meaning for today’s Maya of Alta Verapaz, Guatemala. 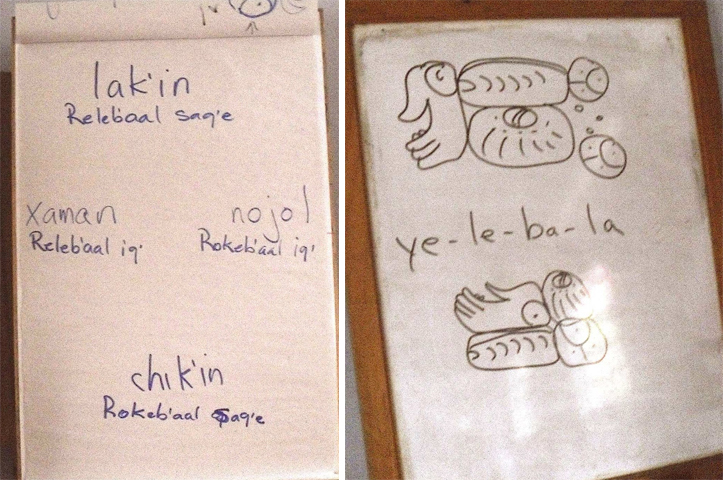 As we move into our own future at MAM, supporting the spread of this knowledge and these workshops in the Mayan-speaking communities, as more and more workshops are taught by the Maya themselves, we see that indeed, for the Maya, epigraphy is so much more than epigraphy. This is a beautiful illustration of why the study of Maya glyphs is so much more than an esoteric exercise. Sebastian sums it up perfectly. Thanks to Bruce for the fabulous photos.